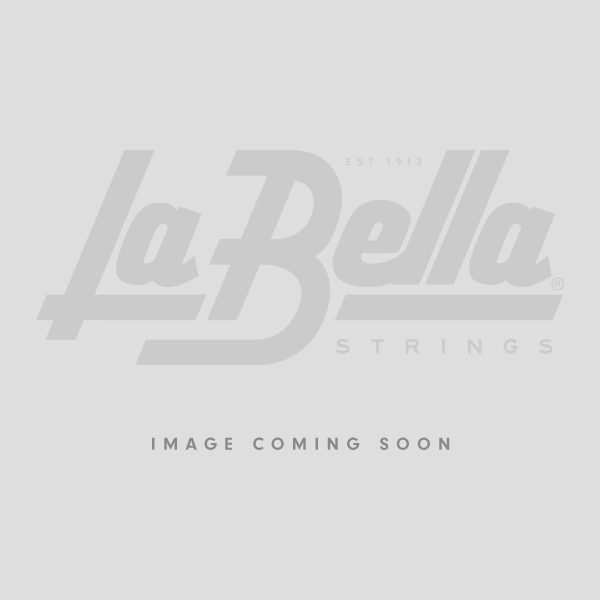 Since the 50s and 60s, La Bella’s DEEP TALKIN’ BASS Stainless Steel Flat Wounds have been the choice of professional bass players and continue to be the standard for the best sounding Flat Wounds on the market. All standard bass sets are LONG scale length. The 1st (G), 2nd (D) & 3rd (A) strings are 38” from ball-end to silk/taper. The 4th (E) & 5th (B) string are 36 ¾” from ball-end to silk/taper. Only the silk portion of the string should wrap around the tuning post or else the string will break. Please refer to our BASS GUIDE for assistance in choosing the correct scale set CLICK HERE. This particular set is NOT suitable for basses with bridges that require strings to pass through the body of the instrument.